Last week I was curious as to how Oliver North, who was involved in one of the most controversial government events of all time, was able to win the Republican nomination for the Senate. How did he make it so far if he was surrounded by the dark shadows of his past? After much research, the answer has been found. 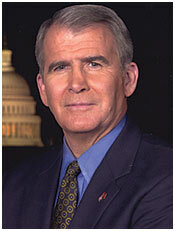 According to "The 20th Century", by David Wallechinsky, Oliver North displayed himself as an antiestablishment politician and drew a lot of support from conservative groups. He gained a lot of popularity, but many key Republicans refused to support him because of the past. Despite this fact, he still had enough popularity among the people and some other conservatives to earn the Republican nomination for the Senate. Last week in class, we talked and discussed several different interesting topics. We learned about different styles of political propaganda, such as Word Games, False Connections, Special Appeals, and Logical Fallacies, and we found examples of their use. Also we watched the rest of The Perfect Candidate and discussed several points about the movie. All in all, it was a very interesting and informative week! When reading about the different styles of political propaganda, I actually recognized many of them. I had seen a lot of them before in election seasons, but did not know what they were called nor their formal names. Out of the 8 specific styles, I have probably seen "Name Calling" the most often. It is a tactic that politicians use a lot to make their opponents look horrible! 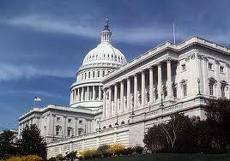 It can always be seen on the numerous campaign commercials on the television! I personally think that this style is wrong. I don't think elections should be a time for name calling, but rather a time to find the best candidate for the people. Personally I feel that it is very childish and reminds me of something that a Kindergartner would do! Nothing is ever solved by making someone else look bad! After doing research and watching The Perfect Candidate, I have learned more than I ever thought I would know about Oliver North. If I was able to have voted, I am not sure if I would have voted for him or not. Without doing research , I can see how easily people can be persuaded to vote against him. He had a lot of influential politicians totally against him, but he still somehow managed to get 43% of the votes. I feel if people would have actually learned more about the Iran -Contra Scandal, more people may have voted for him. I applaud the fact Oliver North's courage to try to rebuild his life after such a disaster in the past, but I think the U.S. Senate might have been to big of a jump too soon. We did not really have a chance to discuss our personal opinions about Oliver North, so I will do that now. I think that he is an okay person who was just seriously misunderstood. Yes, maybe some of his decisions were not spot on, but he was just doing what he thought was best. If I was a hostage being held in Iran, I would have wanted Oliver North to get me out of there by any means necessary! I don't think people understand what horrible things the hostages had to go through! If they were in their position, they would want to be rescued too! After learning about Oliver North and the Iran-Contra Scandal, I am very curious about the hostages that were captured in Iran. I know that they went through a ton of horrible things, but how exactly were their living conditions? What did they have to endure?